If you’re still determining if it’s time to move on from renting to homeownership, you may want to do the math with the “rent vs. buy calculator” below to calculate the costs. I understand that the rent or buy question is not just a financial decision, but as we all know, money does have a lot to do with. As I once pointed out, there are many reasons to buy a home beyond the investment. So be sure to consider all factors, both financial and personal (and emotional) before you dive in. I’ll be the first one to admit that this mortgage calculator is a little complex, but then so is home buying. You aren’t buying a toaster, after all. And you’re not applying for a credit card. You’ll probably need a big old mortgage on your dream home. Most real estate will set you back at least six-digits, so you have to put a little bit of time into it if you want to yield the best results. And yes, math will be involved, as will mortgage calculators. And that’s plural because you’ll also need one to determine affordability, or even just a basic mortgage payment calculator. Anyway, to solve the pesky rent or buy query, start by entering in your monthly rent payment and any renter’s insurance you pay, with the premium divided by 12. If you don’t pay it, just enter “0.” For the record, I’ve never paid renters insurance, not to say I’m a model for what’s right and wrong. The mortgage calculator ballparks an annual rent increase of 3%, though this may not be the case if you live in a rent-controlled building and/or your landlord is super cool and doesn’t raise your monthly rent. I’ve lived in plenty of places that never raised the rent (and some that did). Next, you’ll need to enter the proposed purchase price of the home, condo, or townhome in question, along with the down payment you think you can muster. If you’re not sure on purchase price yet, try the mortgage affordability calculator first then come back to this page. For the interest rate, I always recommend putting in a mortgage rate that is higher than what you see advertised, just to provide some leeway if you don’t qualify for the lowest rates on offer for whatever reason. It might also be wise to enter a rate for a 30-year fixed-rate mortgage, seeing that the initial discount on adjustable-rate mortgages may not accurately represent the cost. Next, you have loan term, which defaults to 30 years. You can change it if you want a 15-year fixed mortgage or some other term. If you do go with a 15-year fixed, be sure to factor in the lower associated mortgage rates. Next up is points, which can include both the loan origination fee and any optional discount points you might pay to lower your interest rate. Also enter in the other closing costs associated with the purchase, such as lender fees, as well as third-party fees like title and escrow fees, assuming you plan to pay them out-of-pocket. The next section will ask for the annual property tax on the subject property, which defaults to 1.25%. This is generally a good estimate, but can be higher or lower depending on where in the country the property is located. If you have a homeowners insurance quote already, you can divide it by 12 (if it’s an annual premium) and enter it there as well. The rent vs. buy calculator has a default $125 total for monthly maintenance, but this can certainly be higher. Personally, I would raise it to provide a buffer and a more realistic view of homeownership. There are lots of “hidden costs” such as gardening, pool service, pest control, water bills, and much more, along with lots of renovation costs that seem to relentlessly present themselves throughout the years. The calculator also populates a 4% annual rate of appreciation, which may or may not be optimistic depending on when and where you buy. Again, you can lower this slightly if you want to be cautious. Next, enter in any other recurring monthly costs like HOA dues. The next section concerns taxes. Fortunately, it’s fairly simple and just asks for your marginal tax rate, which defaults to 25%. Tax rates are actually going down for 2018, but again, overestimating can be good. If you make a ton of money, adjust accordingly. Or just enter a “0” if you’re not sure and don’t want to factor in any potential tax deductions. Next is the investment rate of return, which could be a savings account yield or another investment like a mutual fund, stocks, etc. It’s essentially what your money could be making elsewhere. The rate of return defaults at 2.3%, which is higher than most savings accounts and CD rates right now, but probably lower than what one might earn in the stock market. It’s important to measure the investment return of buying real estate vs. some other security. Finally, yes, finally, enter how long you plan to stay in the property, because to accurately gauge buying vs. renting, you have to pretend to sell the place at some point. Oh wait, there’s more, shucks. Okay, almost done, honest. Just adjust the real estate commission for selling the property if you think you’ll use a reduced commission broker, or leave it alone. And enter in any other home selling costs. There are typically other costs like transfer taxes, title insurance, repairs, home staging fees, moving expenses, etc. You may want to enter another 1-2% of the sales price here. Okay, we’re done, now hit compute and you’ll see the results. You can also tick the “Show gain vs term graph” to see an illustration if you like pictures. The chart will show you the potential gain over time depending on how long you indicate you’ll keep the home. You can also click on “Calculator results detail” to dig into all the numbers a bit more to see how the calculator came up with the answer. Lastly, remember that the rent or buy question is a very personal decision. 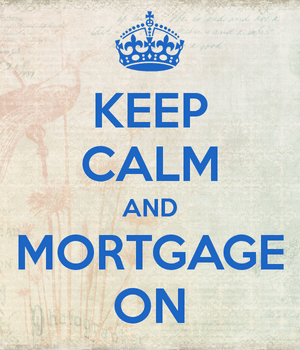 Don’t let any interested parties, such as mortgage lenders or real estate agents, make it for you. Personally, I strongly believe in homeownership as a means to building wealth and feeling a sense of accomplishment (and for the sense of freedom). But make sure you can truly afford it first!